The Story of Chief Gray Wolf by Robert J. Aman Sr. This is the tale of how the animals in the forest made a glove into a mitten and named it "Michigan." 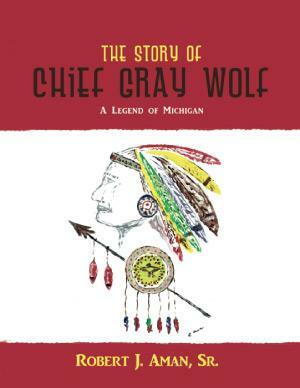 Chief Gray Wolf is a fictional character; however, the story is a lesson of Michigan's nature and geography. The Story of Chief Gray Wolf is a fitting tribute showing the author's respect for Native American heritage and the bountiful gifts of his beautiful home state.